A peaceful setting in Tannehill State Park. Beautiful capture! The colors are so pretty. Kathy, this is fantastic. I LOVE your POV, your DOF and your composition. The bluebird is so sweet. Absolute fav for me. Nicely composed and I like that, instead of a close-up, we see the bird in its natural habitat. @monty147 @cejaanderson @jamibann @craftymeg @ziggy77 @pyrrhula @vignouse Oh my gosh! I am overwhelmed by your response to this photo of the bluebird. Thank you for putting it on both the PP and the TP.I enjoyed watching them f lash by with their striking blue bodies. 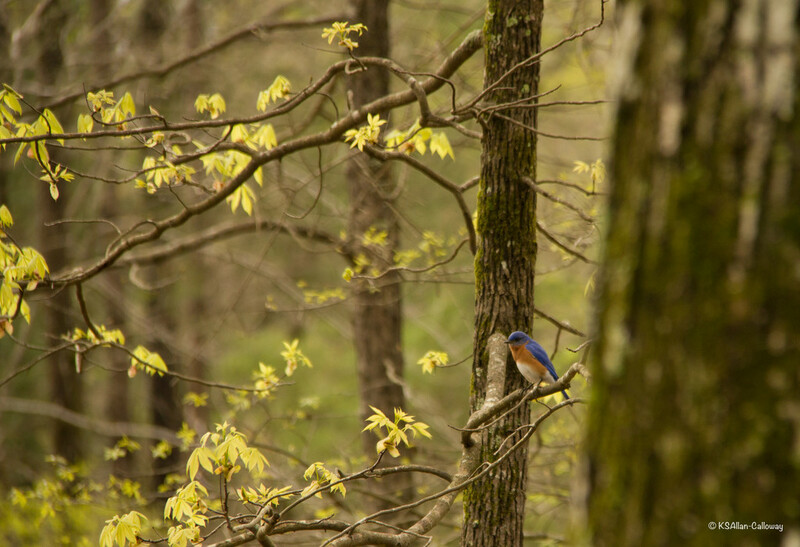 It was taken in a state park where they had put up bluebird boxes on some of the trees. I did notice that one, in a different area of the park, had the hole chipped out. I wondered predator or larger resident? @owlsandanchors You are so kind. Thank you for th comment and fav. @altadc Thank you so much! @ksyu Thank you so much. I'm glad you enjoyed this photo. I loved sitting there and watching them. It seems you have to be in the right place at the right time to see them. They were almost considered to be endangered at one point but are making a comeback.